The Mercure São Paulo JK hotel is located in Vila Olímpia, an upmarket neighborhood in the south of the city considered the financial and business district. Just 492 yards from the JK Iguatemi shopping center and 3.7 miles from Congonhas Airport, it boast s a prime location in an area with restaurants, bars and clubs. Enjoy the comfort of air-conditioned rooms with WIFI during your stay in São Paulo. For your well-being, the hotel also has a pool, sauna, fitness center and the Família Castro restaurant. Shopping malls, parks, museums, theaters, restaurants... Our highly-trained staff will help you discover all that the megalopolis of São Paulo has to offer. We are located in the heart of Vila Olímpia. Privilege apartments with exclusive services for an even more memorable stay. The hotel is 492 yds. from JK Shopping Center and 820 yds. from Vila Olímpia Shopping Center. 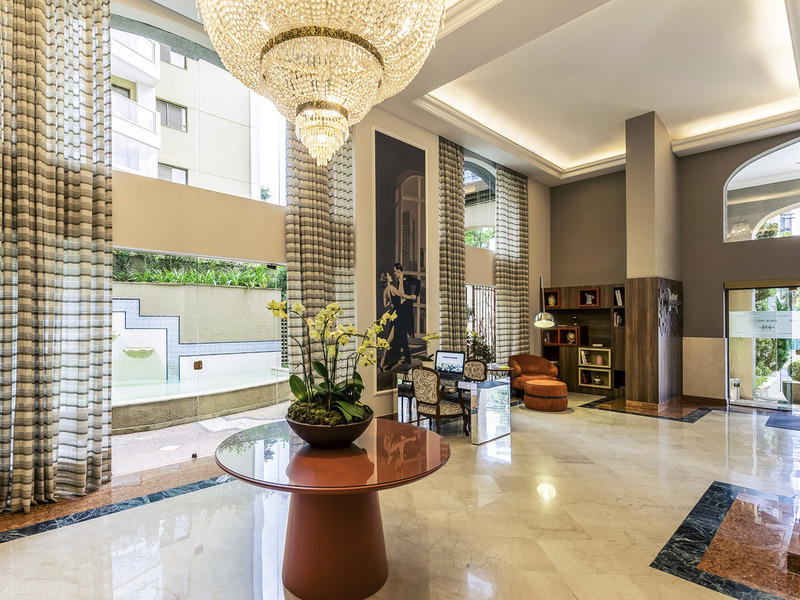 The spacious and comfortable apartments of the Mercure São Paulo JK hotel are simply charming. The apartments are 100% non-smoking and are all equipped with an LCD TV, safe, air conditioning and WIFI. We offer 24-hour room service, laundry services and valet parking.